"Anasazi" redirects here. For other uses, see Anasazi (disambiguation). The Ancestral Puebloans were an ancient Native American culture that spanned the present-day Four Corners region of the United States, comprising southeastern Utah, northeastern Arizona, northwestern New Mexico, and southwestern Colorado. It is believed that the Ancestral Puebloans developed, at least in part, from the Oshara Tradition, who developed from the Picosa culture. They lived in a range of structures that included small family pit houses, larger structures to house clans, grand pueblos, and cliff-sited dwellings for defense. The Ancestral Puebloans possessed a complex network that stretched across the Colorado Plateau linking hundreds of communities and population centers. They held a distinct knowledge of celestial sciences that found form in their architecture. The Kiva, a congregational space that was used chiefly for ceremonial purposes, was an integral part of this ancient people's community structure. In contemporary times, the people and their archaeological culture were referred to as Anasazi for historical purposes. The Navajo, who were not their descendants, called them by this term. Reflecting historic traditions, the term was used to mean "ancient enemies." Contemporary Puebloans do not want this term used. Archaeologists continue to debate when this distinct culture emerged. The current agreement, based on terminology defined by the Pecos Classification, suggests their emergence around the 12th century BC, during the archaeologically designated Early Basketmaker II Era. Beginning with the earliest explorations and excavations, researchers identified Ancestral Puebloans as the forerunners of contemporary Pueblo peoples. Three UNESCO World Heritage Sites located in the United States are credited to the Pueblos: Mesa Verde National Park, Chaco Culture National Historical Park and Taos Pueblo. 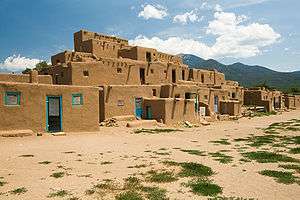 Pueblo, which means "village" in Spanish, was a term originating with the Spanish explorers who used it to refer to the people's particular style of dwelling. The Navajo people, who now reside in parts of former Pueblo territory, referred to the ancient people as Anaasází, an exonym meaning "ancestors of our enemies," referring to their competition with the Pueblo peoples. The Navajo now use the term in the sense of referring to "ancient people" or "ancient ones". 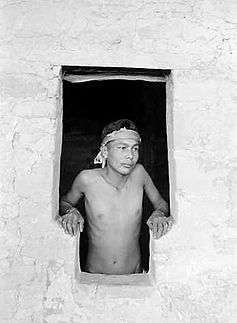 Hopi people used the term Hisatsinom, meaning ancient people, to describe the Ancestral Puebloans. The Ancestral Puebloans were one of four major prehistoric archaeological traditions recognized in the American Southwest. This area is sometimes referred to as Oasisamerica in the region defining pre-Columbian southwestern North America. The others are the Mogollon, Hohokam and Patayan. 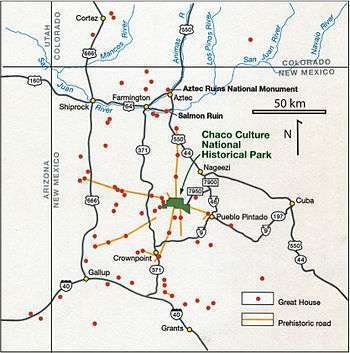 In relation to neighboring cultures, the Ancestral Puebloans occupied the northeast quadrant of the area. The Ancestral Puebloan homeland centers on the Colorado Plateau, but extends from central New Mexico on the east to southern Nevada on the west. Areas of southern Nevada, Utah and Colorado form a loose northern boundary, while the southern edge is defined by the Colorado and Little Colorado Rivers in Arizona and the Rio Puerco and Rio Grande in New Mexico. Structures and other evidence of Ancestral Puebloan culture has been found extending east onto the American Great Plains, in areas near the Cimarron and Pecos rivers and in the Galisteo Basin. Terrain and resources within this large region vary greatly. The plateau regions have high elevations ranging from 4,500 to 8,500 feet (1,400 to 2,600 m). Extensive horizontal mesas are capped by sedimentary formations and support woodlands of junipers, pinon, and ponderosa pines, each favoring different elevations. Wind and water erosion have created steep-walled canyons, and sculpted windows and bridges out of the sandstone landscape. In areas where resistant strata (sedimentary rock layers), such as sandstone or limestone, overlie more easily eroded strata such as shale, rock overhangs formed. The Ancestral Puebloans favored building under such overhangs for shelters and defensive building sites. All areas of the Ancestral Puebloan homeland suffered from periods of drought, and wind and water erosion. Summer rains could be unreliable and often arrived as destructive thunderstorms. 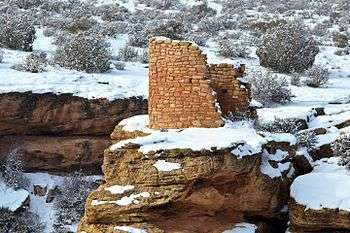 While the amount of winter snowfall varied greatly, the Ancestral Puebloans depended on the snow for most of their water. Snow melt allowed the germination of seeds, both wild and cultivated, in the spring. Where sandstone layers overlay shale, snow melt could accumulate and create seeps and springs, which the Ancestral Puebloans used as water sources. Snow also fed the smaller, more predictable tributaries, such as the Chinle, Animas, Jemez and Taos rivers. The larger rivers were less directly important to the ancient culture, as smaller streams were more easily diverted or controlled for irrigation. The Ancestral Puebloan culture is perhaps best known for the stone and earth dwellings its people built along cliff walls, particularly during the Pueblo II and Pueblo III eras, from about 900 to 1350AD in total. 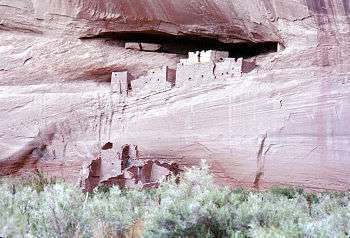 The best-preserved examples of the stone dwellings are now protected within United States' National Parks, such as Navajo National Monument, Chaco Culture National Historical Park, Mesa Verde National Park, Canyons of the Ancients National Monument, Aztec Ruins National Monument, Bandelier National Monument, Hovenweep National Monument, and Canyon de Chelly National Monument. These villages, called pueblos by Spanish colonists, were only accessible only by rope or through rock climbing. These astonishing building achievements had modest beginnings. The first Ancestral Puebloan homes and villages were based on the pit-house, a common feature in the Basketmaker periods. Ancestral Puebloans are also known for their pottery. In general, pottery used for cooking or storage in the region was unpainted gray, either smooth or textured. Pottery used for more formal purposes was often more richly adorned. 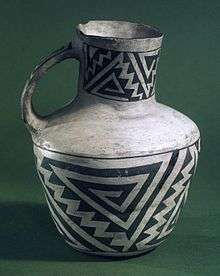 In the northern or "Anasazi" portion of the Ancestral Pueblo world, from about 500 to 1300 AD, the most common decorated pottery had black painted designs on white or light gray backgrounds. Decoration is characterized by fine hatching, and contrasting colors are produced by the use of mineral-based paint on a chalky background. South of the Anasazi territory, in Mogollon settlements, pottery was more often hand-coiled, scraped, and polished, with red to brown coloring. Some tall cylinders are considered ceremonial vessels, while narrow-necked jars may have been used for liquids. Ware in the southern portion of the region, particularly after 1150 AD, is characterized by heavier black-line decoration and the use of carbon-based colorants. 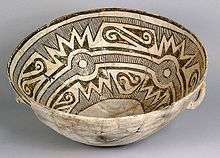 In northern New Mexico, the local "black on white" tradition, the Rio Grande white wares, continued well after 1300 AD. Changes in pottery composition, structure and decoration are signals of social change in the archaeological record. This is particularly true as the peoples of the American Southwest began to leave their traditional homes and migrate south. According to archaeologists Patricia Crown and Steadman Upham, the appearance of the bright colors on Salada Polychromes in the 14th century may reflect religious or political alliances on a regional level. Late 14th and 15th century pottery from central Arizona, widely traded in the region, has colors and designs which may derive from earlier ware by both Ancestral Pueblo and Mogollon peoples. The Ancestral Puebloans also created many petroglyphs and pictographs. The Ancestral Pueblo people crafted a unique architecture with planned community spaces. The ancient population centers such as Chaco Canyon (outside Crownpoint, New Mexico), Mesa Verde (near Cortez, Colorado), and Bandelier National Monument (near Los Alamos, New Mexico) have brought renown to the Ancestral Pueblo peoples. 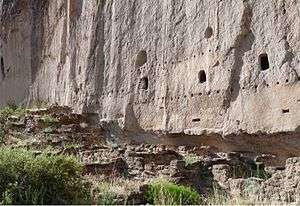 They consisted of apartment-like complexes and structures made from stone, adobe mud, and other local material, or were carved into the sides of canyon walls. Developed within these cultures, the people also adopted design details from other cultures as far away as contemporary Mexico. In their day, these ancient towns and cities were usually multi-storied and multi-purposed buildings surrounding open plazas and viewsheds. They were occupied by hundreds to thousands of Ancestral Pueblo peoples. These population complexes hosted cultural and civic events and infrastructure that supported a vast outlying region hundreds of miles away linked by transportation roadways. Constructed well before 1492 AD, these Ancestral Pueblo towns and villages in the Southwestern United States were located in various defensive positions, for example, on high steep mesas such as at Mesa Verde or present-day Acoma Pueblo, called the "Sky City", in New Mexico. Earlier than 900 AD and progressing past the 13th century, the population complexes were a major center of culture for the Ancestral Puebloans. In Chaco Canyon, Chacoan developers quarried sandstone blocks and hauled timber from great distances, assembling 15 major complexes. These ranked as the largest buildings in North America until the late 19th century. Evidence of archaeoastronomy at Chaco has been proposed, with the Sun Dagger petroglyph at Fajada Butte a popular example. Many Chacoan buildings may have been aligned to capture the solar and lunar cycles, requiring generations of astronomical observations and centuries of skillfully coordinated construction. Climate change is thought to have led to the emigration of Chacoans and the eventual abandonment of the canyon, beginning with a 50-year drought that started in 1130. Immense complexes known as "Great Houses" embodied worship at Chaco. Archaeologists have found musical instruments, jewelry, ceramics, and ceremonial items; indicating people in Great Houses were elite, wealthier families. They hosted indoor burials, where gifts were interred with the dead, often including bowls of food and turquoise beads. As architectural forms evolved and centuries passed, the houses kept several core traits. Most apparent is their sheer bulk; complexes averaged more than 200 rooms each, and some enclosed up to 700 rooms. Individual rooms were substantial in size, with higher ceilings than Ancestral Pueblo works of preceding periods. They were well-planned: vast sections or wings erected were finished in a single stage, rather than in increments. Houses generally faced the south. Plaza areas were almost always girt with edifices of sealed-off rooms or high walls. Houses often stood four or five stories tall, with single-story rooms facing the plaza; room blocks were terraced to allow the tallest sections to compose the pueblo's rear edifice. Rooms were often organized into suites, with front rooms larger than rear, interior, and storage rooms or areas. Ceremonial structures known as kivas were built in proportion to the number of rooms in a pueblo. One small kiva was built for roughly every 29 rooms. Nine complexes each hosted an oversized Great Kiva, each up to 63 feet (19 m) in diameter. 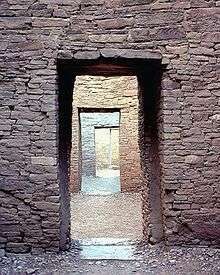 T-shaped doorways and stone lintels marked all Chacoan kivas. Though simple and compound walls were often used, Great Houses were primarily constructed of core-and-veneer walls: two parallel load-bearing walls comprising dressed, flat sandstone blocks bound in clay mortar were erected. Gaps between walls were packed with rubble, forming the wall's core. Walls were then covered in a veneer of small sandstone pieces, which were pressed into a layer of binding mud. These surfacing stones were often placed in distinctive patterns. The Chacoan structures altogether required the wood of 200,000 coniferous trees, mostly hauled—on foot—from mountain ranges up to 70 miles (110 km) away. One of the most notable aspects of Ancestral Puebloan infrastructure is at Chaco Canyon and is the Chaco Road, a system of roads radiating out from many great house sites such as Pueblo Bonito, Chetro Ketl and Una Vida. They led toward small outlier sites and natural features within and beyond the canyon limits. 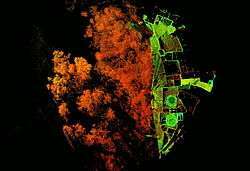 Through satellite images and ground investigations, archaeologists have detected at least 8 main roads that together run for more than 180 miles (ca 300 km), and are more than 30 feet (10 m) wide. These were excavated into a smooth leveled surface in the bedrock or created through the removal of vegetation and soil. The Ancestral Pueblo residents of Chaco Canyon cut large ramps and stairways into the cliff rock to connect the roadways on the ridgetops of the canyon to the sites on the valley bottoms. The largest roads, constructed at the same time as many of the great house sites (between 1000 and 1125 AD), are: the Great North Road, the South Road, the Coyote Canyon Road, the Chacra Face Road, Ahshislepah Road, Mexican Springs Road, the West Road and the shorter Pintado-Chaco Road. Simple structures like berms and walls are found sometimes aligned along the courses of the roads. Also, some tracts of the roads lead to natural features such as springs, lakes, mountain tops and pinnacles. The longest and most well-known of these roads is the Great North Road. The Great North Road originates from different routes close to Pueblo Bonito and Chetro Ketl. These roads converge at Pueblo Alto and from there lead north beyond the Canyon limits. There are no communities along the road's course, apart from small, isolated structures. Archaeological interpretations of the Chaco road system are divided between an economic purpose and a symbolic, ideological role linked to ancestral Puebloan beliefs. The system was first discovered at the end of the 19th century. It was not excavated and studied until the 1970s. By the late 20th century, archeologists' assessments were helped by satellite images and photographs taken from plane flights over the area. Archaeologists suggested that the road's main purpose was to transport local and exotic goods to and from the canyon. Someone also suggested that these large roads were used to quickly move an army from the canyon to the outlier communities, a purpose similar to the road systems known for the Roman empire. This last scenario has long been discarded because of the lack of any evidence of a permanent army. The economic purpose of the Chaco road system is shown by the presence of luxury items at Pueblo Bonito and elsewhere in the canyon. Items such as macaws, turquoise, marine shells, which are not part of this environment, in addition to imported vessels distinguished by design, prove that the Chaco had long-distance commercial relations with other distant regions. The widespread use of timber in Chacoan constructions was based on a large and easy transportation system, as this resource is not locally available. Through analysis of various strontium isotopes, archaeologists have realized that much of the timber that composes Chacoan construction came from a number of distant mountain ranges, a finding that also supported the economic significance of the Chaco Road. Other archaeologists think instead that the main purpose of the road system was a religious one, providing pathways for periodic pilgrimages and facilitating regional gatherings for seasonal ceremonies. As Furthermore, considering that some of these roads seem to go nowhere, experts suggest that they can be linked—especially the Great North Road—to astronomical observations, solstice marking, and agricultural cycles. This religious explanation is supported by modern Pueblo beliefs about a North Road leading to their place of origin and along which the spirits of the dead travel. According to modern pueblo people, this road represents the connection to the sipapu, the place of emergence of the ancestors or a dimensional doorway. During their journey from the sipapu to the world of the living, the spirits stop along the road and eat the food left for them by the living. Astronomy played an important role in Chaco culture. Many ceremonial structures were deliberately built along, a north-south axis alignment. The main buildings at Pueblo Bonito, for example, are arranged according to this direction. They likely served as central places for ceremonial journeys across the landscape. Sparse concentrations of ceramic fragments along the North Road have been related to some sort of ritual activities carried out along its expanse. Isolated structures located on the roadsides, as well as on top of the canyon cliffs and ridge crests, have been interpreted as shrines related to these activities. Long linear grooves were cut into the bedrock along certain roads but do not seem to point in any specific direction. It has been proposed that these were part of pilgrimage paths followed during ritual ceremonies. Archaeologists agree that the purpose of this road system may have changed through time, and that the Chaco Road system probably functioned for both economic and ideological reasons. 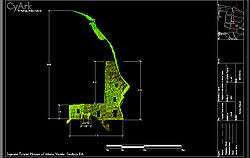 Section view of Kiva A in Mesa Verde's Fire Temple, cut from laser scan data collected by a CyArk/National Park Service partnership. Since Fire Temple was at least partially built to conform to the dimensions of its cliff alcove, it is neither round in form nor truly subterranean like other structures defined as kivas. 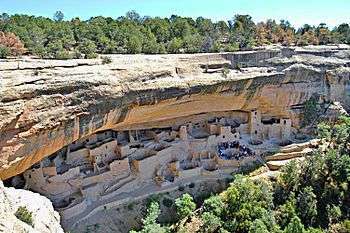 Throughout the southwest Ancestral Puebloan region, and at Mesa Verde, the best-known site for the large number of well-preserved cliff dwellings, housing, defensive and storage complexes were built in shallow caves and under rock overhangs along canyon walls. The structures contained within these alcoves were mostly blocks of hard sandstone, held together and plastered with adobe mortar. Specific constructions had many similarities, but were generally unique in form due to the individual topography of different alcoves along the canyon walls. In marked contrast to earlier constructions and villages on top of the mesas, the cliff dwellings at Mesa Verde reflected a region-wide trend during the 13th century toward the aggregation of growing regional populations into close, highly defensible quarters. Common Pueblo architectural forms, including Kivas, towers, and pit-houses are included in this area. But the space constrictions of these alcoves resulted in a far denser concentration of their populations. Mug House, a typical cliff dwelling of the period, was home to around 100 people who shared 94 small rooms and eight kivas, built right up against each other and sharing many of their walls. Builders in these areas maximized space in any way they could and no areas were considered off-limits to construction. Not all of the people in the region lived in cliff dwellings; many colonized the canyon rims and slopes in multi-family structures that grew to unprecedented size as populations swelled. Decorative motifs for these sandstone/mortar constructions, both cliff dwellings and non-, included T-shaped windows and doors. This has been taken by some archaeologists, such as Stephen Lekson (1999), as evidence of the continuing reach of the Chaco Canyon elite system, which had seemingly collapsed around a century before. Other researchers see these motifs as part of a more generalized Puebloan style and/or spiritual significance, rather than evidence of a continuing specific elite socioeconomic system. During the period from 700–1130 CE (Pueblo I and II Eras), there was a rapid increase in population due to consistent and regular rainfall patterns supporting agriculture. Studies of skeletal remains show that this growth was due to increased fertility rather than decreased mortality. However, this tenfold increase in population over the course of a few generations could not be achieved by increased birthrate alone; likely it also involved migrations of peoples from surrounding areas. Innovations such as pottery, food storage, and agriculture enabled this rapid growth. Over several decades, the Ancestral Puebloan culture spread across the landscape. Northern San Juan (Mesa Verde and Hovenweep National Monument) (southwest Colorado and southeastern Utah). Modern Pueblo oral traditions hold that the Ancestral Puebloans originated from sipapu, where they emerged from the underworld. For unknown ages, they were led by chiefs and guided by spirits as they completed vast migrations throughout the continent of North America. They settled first in the Ancestral Puebloan areas for a few hundred years before moving to their present locations. 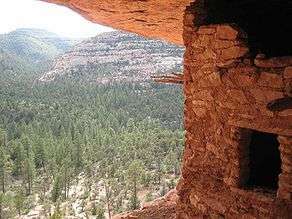 It is not clear why the Ancestral Puebloans left their established homes in the 12th and 13th centuries. Factors examined and discussed include global or regional climate change, prolonged periods of drought, cyclical periods of topsoil erosion, environmental degradation, de-forestation, hostility from new arrivals, religious or cultural change, and influence from Mesoamerican cultures. Many of these possibilities are supported by archaeological evidence. Current scholarly opinion holds that the Ancestral Puebloans responded to pressure from Numic-speaking peoples moving onto the Colorado Plateau, as well as climate change that resulted in agricultural failures. The archaeological record indicates that it was not unusual for Ancestral Puebloans to adapt to climatic change by changing residences and locations. Early Pueblo I Era sites may have housed up to 600 individuals in a few separate but closely spaced settlement clusters. However, they were generally occupied for 30 years or less. Archaeologist Timothy A. Kohler excavated large Pueblo I sites near Dolores, Colorado, and discovered that they were established during periods of above-average rainfall. This allowed crops to be grown without requiring irrigation. At the same time, nearby areas were abandoned that suffered significantly drier patterns. Ancestral Puebloans attained a cultural "Golden Age" between about 900 and 1150. During this time, generally classed as Pueblo II Era, the climate was relatively warm and rainfall mostly adequate. Communities grew larger and were inhabited for longer periods of time. Highly specific local traditions in architecture and pottery emerged, and trade over long distances appears to have been common. Domesticated turkeys appear. After approximately 1130, North America had significant climatic change in the form of a 300-year drought called the Great Drought. This also led to the collapse of the Tiwanaku civilization around Lake Titicaca in present-day Bolivia. The contemporary Mississippian culture also collapsed during this period. Confirming evidence dated between 1150 and 1350 has been found in excavations of the western regions of the Mississippi Valley, which show long-lasting patterns of warmer, wetter winters and cooler, drier summers. In this later period, the Pueblo II became more self-contained, decreasing trade and interaction with more distant communities. Southwest farmers developed irrigation techniques appropriate to seasonal rainfall, including soil and water control features such as check dams and terraces. The population of the region continued to be mobile, abandoning settlements and fields under adverse conditions. Along with the change in precipitation patterns, there was a drop in water table levels due to a different cycle unrelated to rainfall. This forced the abandonment of settlements in the more arid or over-farmed locations. Evidence suggests a profound change in religion in this period. Chacoan and other structures constructed originally along astronomical alignments, and thought to have served important ceremonial purposes to the culture, were systematically dismantled. Doorways were sealed with rock and mortar. Kiva walls show marks from great fires set within them, which probably required removal of the massive roof – a task which would require significant effort. Habitations were abandoned, tribes split and divided and resettled far elsewhere. This evidence suggests that the religious structures were deliberately abandoned slowly over time. Puebloan tradition holds that the ancestors had achieved great spiritual power and control over natural forces. They used their power in ways that caused nature to change, and caused changes that were never meant to occur. Possibly, the dismantling of their religious structures was an effort to symbolically undo the changes they believed they caused due to their abuse of their spiritual power, and thus make amends with nature. Most modern Pueblo peoples (whether Keresans, Hopi, or Tanoans) assert the Ancestral Puebloans did not "vanish", as is commonly portrayed in media presentations or popular books. They say that the people migrated to areas in the southwest with more favorable rainfall and dependable streams. They merged into the various Pueblo peoples whose descendants still live in Arizona and New Mexico. This perspective was also presented by early 20th-century anthropologists, including Frank Hamilton Cushing, J. Walter Fewkes and Alfred V. Kidder. Many modern Pueblo tribes trace their lineage from specific settlements. For example, the San Ildefonso Pueblo people believe that their ancestors lived in both the Mesa Verde and the Bandelier areas. Evidence also suggests that a profound change took place in the Ancestral Pueblo area and areas inhabited by their cultural neighbors, the Mogollon. The contemporary historian James W. Loewen agrees with this oral traditions in his book, Lies Across America: What Our Historic Markers and Monuments Get Wrong (1999). There is no academic consensus with the professional archeological and anthropological community on this issue. Environmental stress may have been reflected by changes in the social structure, leading to conflict and warfare. Near Kayenta, Arizona, Jonathan Haas of the Field Museum in Chicago has been studying a group of Ancestral Puebloan villages that relocated from the canyons to the high mesa tops during the late 13th century. Haas believes that the reason to move so far from water and arable land was defense against enemies. He asserts that isolated communities relied on raiding for food and supplies, and that internal conflict and warfare became common in the 13th century. This conflict may have been aggravated by the influx of less settled peoples, Numic-speakers such as the Utes, Shoshones and Paiute people, who may have originated in what is today California. 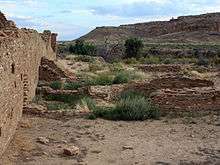 Others suggest that more developed villages, such as that at Chaco Canyon, exhausted their environments, resulting in widespread deforestation and eventually the fall of their civilization through warfare over depleted resources. A 1997 excavation at Cowboy Wash near Dolores, Colorado, found remains of at least twenty-four human skeletons that showed evidence of violence and dismemberment, with strong indications of cannibalism. This modest community appears to have been abandoned during the same time period. Other excavations within the Ancestral Puebloan cultural area have produced varying numbers of unburied, and in some cases dismembered, bodies. In a 2010 paper, Potter and Chuipka argued that evidence at Sacred Ridge Site, near Durango, Colorado, is best interpreted as warfare related to competition and ethnic cleansing. This evidence of warfare, conflict, and cannibalism is hotly debated by some scholars and interest groups. Suggested alternatives include: a community suffering the pressure of starvation or extreme social stress, dismemberment and cannibalism as religious ritual or in response to religious conflict, the influx of outsiders seeking to drive out a settled agricultural community via calculated atrocity, or an invasion of a settled region by nomadic raiders who practiced cannibalism. Such peoples have existed in other times and places, e.g. the Androphagi of Russia. The name "Anasazi" has come to mean "ancient people," although the word itself is Navajo, meaning "enemy ancestors." [The Navajo word is anaasází (<anaa- "enemy", sází "ancestor").] The term was first applied to ruins of the Mesa Verde by Richard Wetherill, a rancher and trader who, in 1888–1889, was the first Anglo-American to explore the sites in that area. Wetherill knew and worked with Navajos and understood what the word meant. The name was further sanctioned in archaeology when it was adopted by Alfred V. Kidder, the acknowledged dean of Southwestern Archaeology. Kidder felt that it was less cumbersome than a more technical term he might have used. Subsequently some archaeologists who would try to change the term have worried that because the Pueblos speak different languages, there are different words for "ancestor," and using one might be offensive to people speaking other languages. Many contemporary Pueblo peoples object to the use of the term Anasazi; there is controversy among them on a native alternative. Some modern descendants of this culture often choose to use the term "Ancestral Pueblo" peoples. Contemporary Hopi use the word Hisatsinom in preference to Anasazi. Archaeological cultural units such as Ancestral Puebloan, Hohokam, Patayan or Mogollon are used by archaeologists to define material culture similarities and differences that may identify prehistoric socio-cultural units, equivalent to modern societies or peoples. The names and divisions are classification devices based on theoretical perspectives, analytical methods and data available at the time of analysis and publication. They are subject to change, not only on the basis of new information and discoveries, but also as attitudes and perspectives change within the scientific community. It should not be assumed that an archaeological division or culture unit corresponds to a particular language group or to a socio-political entity such as a tribe. Archaeological research focuses on items left behind during people’s activities: fragments of pottery vessels, garbage, human remains, stone tools or evidence left from the construction of dwellings. However, many other aspects of the culture of prehistoric peoples are not tangible. 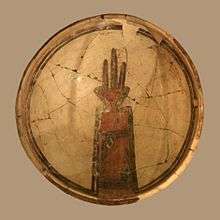 Their beliefs and behavior are difficult to decipher from physical materials, and their languages remain unknown as they had no known writing system. Cultural divisions are tools of the modern scientist, and so should not be considered similar to divisions or relationships which the ancient residents may have recognized. Modern cultures in this region, many of whom claim some of these ancient people as ancestors, express a striking range of diversity in lifestyles, social organization, language and religious beliefs. This suggests the ancient people were also more diverse than their material remains may suggest. The modern term "style" has a bearing on how material items such as pottery or architecture can be interpreted. Within a people, different means to accomplish the same goal can be adopted by subsets of the larger group. For example, in modern Western cultures, there are alternative styles of clothing that characterize older and younger generations. Some cultural differences may be based on linear traditions, on teaching from one generation or "school" to another. Other varieties in style may have distinguished between arbitrary groups within a culture, perhaps defining status, gender, clan or guild affiliation, religious belief or cultural alliances. Variations may also simply reflect the different resources available in a given time or area. Defining cultural groups, such as the Ancestral Puebloans, tends to create an image of territories separated by clear-cut boundaries, like border boundaries separating modern states. These did not exist. Prehistoric people traded, worshipped, collaborated and fought most often with other nearby groups. Cultural differences should therefore be understood as "clinal", "increasing gradually as the distance separating groups also increases". Departures from the expected pattern may occur because of unidentified social or political situations or because of geographic barriers. In the Southwest, mountain ranges, rivers and, most obviously, the Grand Canyon can be significant barriers for human communities, likely reducing the frequency of contact with other groups. 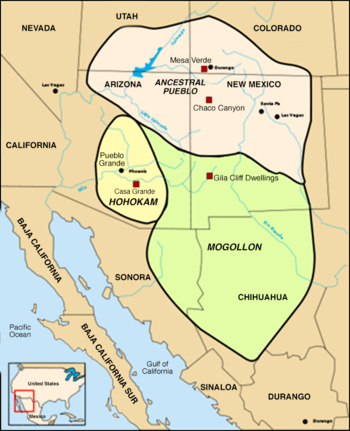 Current opinion holds that the closer cultural similarity between the Mogollon and Ancestral Puebloans, and their greater differences from the Hohokam and Patayan, is due to both the geography and the variety of climate zones in the Southwest. 1 2 3 "Ancestral Pueblo culture." Encyclopædia Britannica. Retrieved 4 June 2012. ↑ Cordell, Linda; McBrinn, Maxine (2012). Archaeology of the Southwest (3 ed.). ↑ Adams, Karen R.; Stewart, Joe D.; Baldwin, Stuart J. (2002). 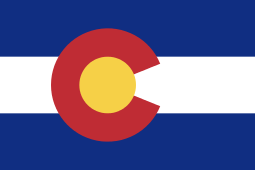 "Pottery Paint and Other Uses of Rocky Mountain Beeweed (Cleome serrulata Pursh) in the Southwestern United States: Ethnographic Data, Archæological Record, and Elemental Composition". Kiva. Leeds, UK: Maney Publishing. 67 (4): 339–362. JSTOR 30246404. ↑ Cordell, Linda (1994). Ancient Pueblo Peoples. St. Remy Press and Smithsonian Instituion. p. 20. ISBN 0-89599-038-5. ↑ Stuart, David E. (2000). Anasazi America. University of New Mexico Press. p. 115. ISBN 0-8263-2178-X. ↑ "Chacoan Roads." National Park Service. Retrieved 4 June 2012. ↑ English, Nathan B., Julio L. Betancourt, Jeffrey S. Dean, andJay Quade. "Strontium isotopes reveal distant sources of architectural timber in Chaco Canyon, New Mexico." Proceedings of the National Academy of Sciences. 15 Aug 2001. Retrieved 4 June 2012. ↑ Phillips, David A., Jr., 2000, "The Chaco Meridian: A skeptical analysis", paper presented to the 65th annual meeting of the Society of American Archaeology, Philadelphia. ↑ Diamond 2005, pp. 136−156. ↑ The first to surmise this was John W. Powell, Canyons of the Colorado, 1895, Flood & Vincent. ↑ Diamond 2005, pp. 152. ↑ "Mountains of Evidence", in American Scientist Archived September 25, 2015, at the Wayback Machine. ↑ Diamond 2005, pp. 153. 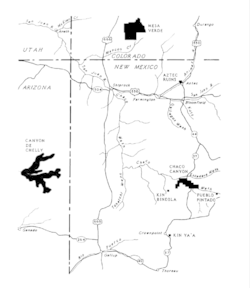 Childs, Craig House of Rain: Tracking a Vanished Civilization Across the American Southwest. Little, Brown and Company, February 22, 2007. ISBN 0-316-60817-3. Fagan, Brian M. "Ancient North America: Tha Archaeology of a Continent (part five)." Thames and Hudson, Inc., New York City, 1991. ISBN 0-500-05075-9. Jennings, Jesse D. Glen Canyon: An Archaeological Summary. University of Utah Press, Salt Lake City, Utah, 1966, republished 1998. ISBN 0-87480-584-8. LeBlanc, Steven A. "Prehistoric Warfare in the American Southwest." 1999, University of Utah Press, Salt Lake City, Utah. ISBN 0-87480-581-3. Roberts, David D. In Search of the Old Ones: Exploring the Anasazi World of the Southwest. Simon & Schuster Adult Publishing Group, 1996. ISBN 0-684-81078-6. Connie A. Woodhouse; et al. (2010), A 1,200-year perspective of 21st century drought in southwestern North America, Proceedings of the National Academy of Sciences of the United States of America.